Victoria Beckham Favourite Travel Beauty Products? 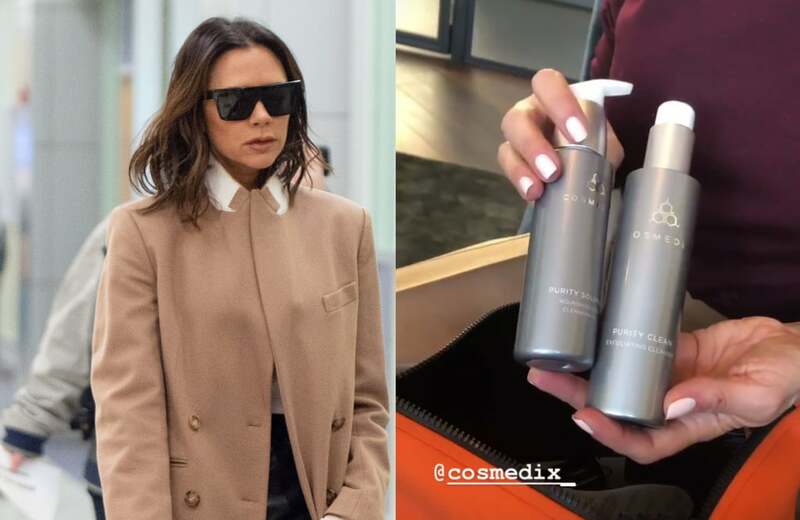 When it comes to beauty products Victoria Beckham has her pick of the bunch, so when she recommends a product, you know it's going to be good. As a business owner, mum, and celebrity, Beckham travels a lot, so she needs a beauty arsenal that will keep up with her busy schedule. Luckily for us, she delineated some of her favourite beauty travel companions. From "posh toothpaste" (we wouldn't expect anything less) to handy Q-tips, she's thought through everything, and it all fits inside her chic Hermes bag (although TSA doesn't think so). In her Instagram Story, she talked a lot about the importance and preference of natural products in her routine, saying her shampoo and condition are free from sulfates, which could be a clue about her upcoming beauty brand, that no doubt will focus on "natural" and "clean" beauty products. Beckham also stressed the importance of taking her vitamins everywhere, and explained that she takes Skinade every day, singing the praises of its "handy little travel packets." Ahead get a closer look into Beckham's beauty travel buddies.